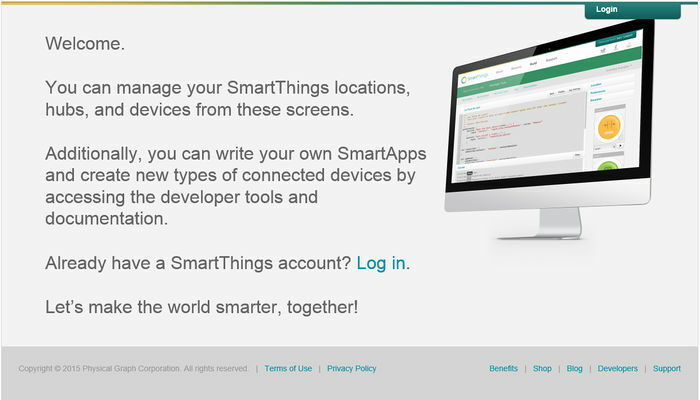 a) Point your browser to you SmartThings IDE for your country (i.e. 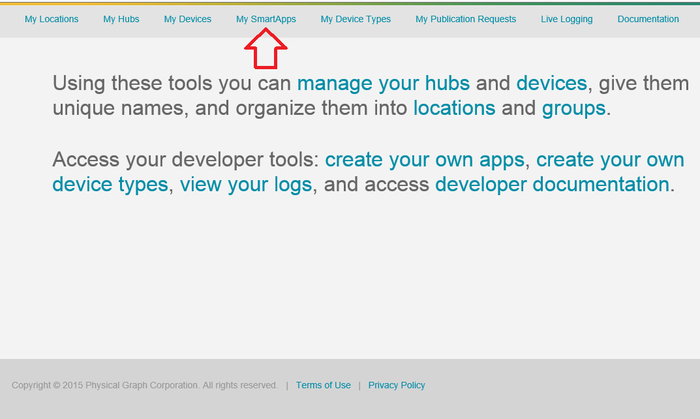 http://ide.smartthings.com or whatever your shard is) and Log In. b) Once you are logged in, find the My SmartApps link on the top of the page. Clicking My SmartApps will allow you to produce a new SmartApp. c) Find the button on this page labeled +New SmartApp and click it. d) Since you already have the code in your computer’s clipboard, find the tab along the top section called From Code. In the area provided, paste (typically CTRL+V) the code you copied from GitHub. Click Create in the bottom left corner of the page. e) This will bring up another page, with the code now formatted within the IDE. If the code was copied correctly, there are no other steps except to save and publish the code. In the upper right corner of the page, find and click Save. Now, click Publish (For Me), and you should receive a confirmation that the code has been published successfully. For the initial setup, under the ST app, click on the Marketspace in the bottom menu, and then, on the smartapps link and finally, MyApps (last item in the list).